Nars has just released two, limited edition, Sephora exclusive cheek palettes. The pan is quite large and contains 12g of product. It is the same size palette as the recent Pierre Hardy blushes. 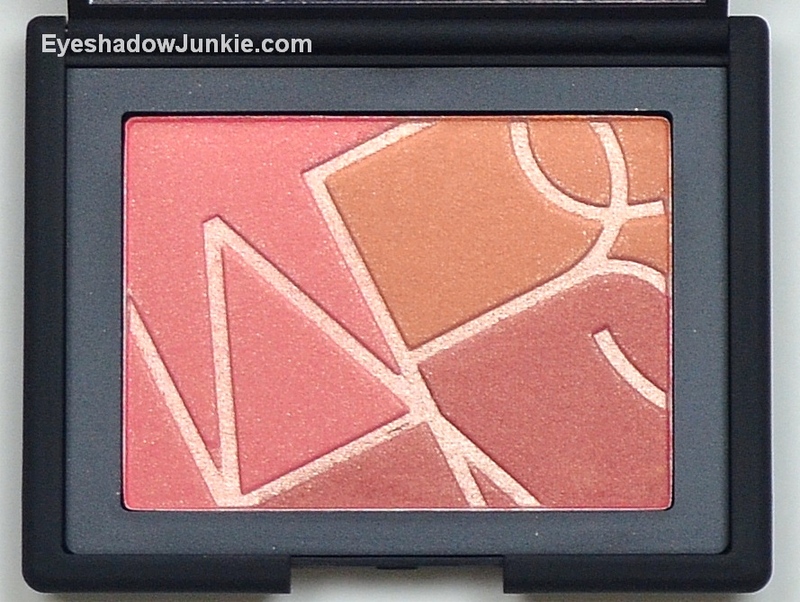 It has the Nars logo embossed with a pale, high shimmer pink overspray. If you leave the overspray, the first couple of uses will be very shimmery. It can easily be removed with a Q-tip or pencil brush. I’m typically not a fan of products with multiple shades in one pan as it will eventually become one big mess. I’m giving this blush a chance because my goal is to make it one big mess. I tip my hat if you can manage using all three shades separately. Soulshine’s three shades are a warm peachy pink with gold shimmer, a dusty rose with gold shimmer and an apricot with gold sheen. When all three shades are blended, you get a nice, warm medium pink with a light gold shimmer. When worn together, the shade reminds me of Taos blush by Nars, but Taos is slightly deeper. So, if you were thinking of picking up Taos, give this a shot. 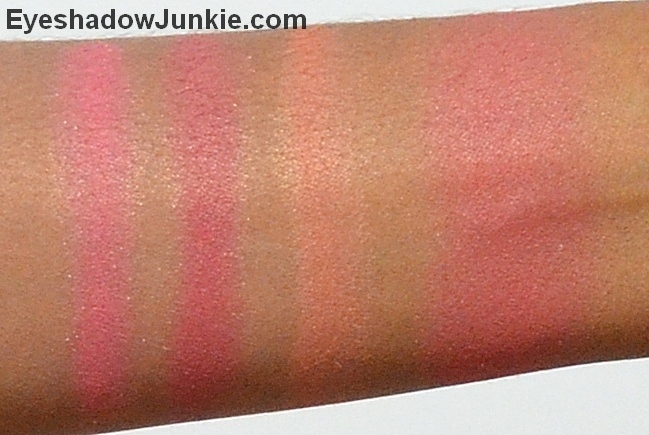 The blush is nicely pigmented and finely milled, but does kick up powder quite easily. So, use a light hand. As stated earlier, this palette is exclusive to Sephora and retails for $41.